When you’re looking for activities on Maui, you’re probably trying to maximize your Maui experience, and still leave plenty of time for relaxing, dining, golfing, and all the other incredible reasons you decided to make Maui your vacation destination. For those who might be short on time but still want plenty of adventure, the Hana Sky-Trek is the best way to experience the Road to Hana, a helicopter experience, and more! Central Maui Convenience – While checking in at the heliport in Kahului is a bit of a drive, plenty of our guests make a day of it by combining their Hana Sky-Trek adventure with another Central Maui experience before heading back to their resort, hotel, or condo. Folks who take the 7:00 AM tour, finishing at around 1:30, like to take a trip to Iao Valley, enjoy dinner at the famous Mama’s Fish House, or visit the incredible Maui Ocean Center after their tour. If you’re taking the 11:15 tour, done at 5:30, head down early and fit in some fun activities before your check-in! Two Tour Guides – With not only your Temptation Tours guide leading your day, but also your licensed helicopter pilot, you’ll get perspective, stories, and insight from two Hawaii-Certified Tour Guides! Your pilot can point out geological features, huge waterfalls not visible from land, and possibly even Haleakala Crater from an amazing new vantage point! On the Road to Hana, your Temptation Tours driver-guide will fill you in on the culture, history, and plant life unique to East Maui. Incredible Experiences – We know that when you’re coming to Maui, you’re looking for waterfalls, black sand beaches, and incredible ocean views. While any Road to Hana tour—or just driving yourself—can offer all of those, combining it with top-notch helicopter partners, a tasty picnic lunch, and of course, the unmatched comfort of our custom-built Limo-Vans makes the Hana Sky-Trek a truly five-star luxury Maui adventure. 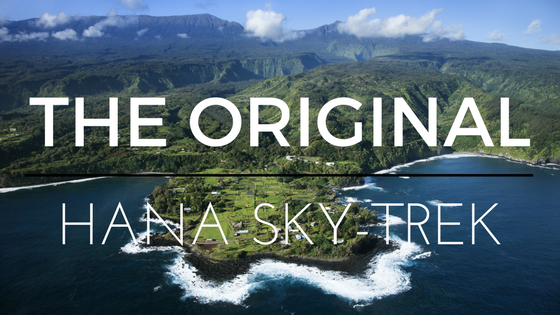 Call us, and book the original, award-winning Hana Sky-Trek tour for your Maui vacation today! Once you arrive on Maui, you may have your itinerary planned perfectly—down to the last surf lesson, lunch reservation, and tee time. Or you might have just landed with a general idea of where your hotel is, and nothing else set in stone. Neither way is better, but if you’re the latter, we’re here to help with your last-minute Maui stops that you can’t miss! Surfing Goat Dairy – We can’t stress enough how fun and informative it is to visit this locally-owned, working goat farm. Not only do you get to visit with some super friendly goats (and even feed them! ), you’ll also get an insider’s look on how the farm operates, from brand-new baby goats to the process of making goat milk into delicious cheese. And yes, Surfing Goat Dairy makes some of the tastiest goat cheese you’ve ever had! Enjoy a flight of cheese during your visit and get a feel for the multitude of flavors that complement Surfing Goat Dairy’s incredibly creamy, smooth cheeses. Join our Haleakala Sun-Trek, and you’ll have a chance to tour this highly-reviewed Maui institution! Ali’i Kula Lavender – While you might think that a lavender farm sounds a little out-of-place on a tropical island, the town of Kula, on the misty slopes of Haleakala, is the perfect spot for delicate, fragrant lavender to thrive. 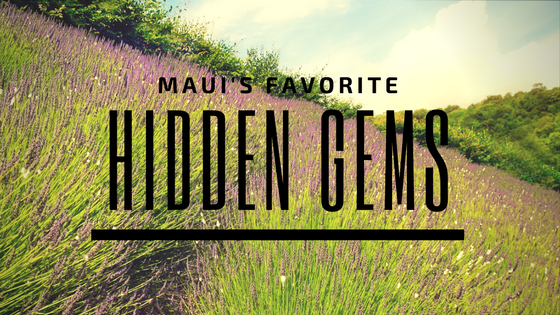 Tour their acres of lavender fields, relax in their peaceful succulent gardens, and browse their lavender-centric gift shop for a surprising Maui experience that’s miles away from the nearest beach! 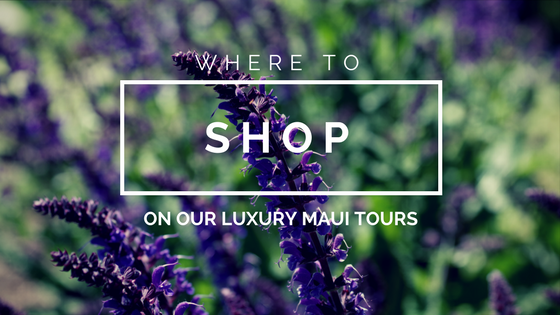 On our Summit Lavender Sojourn, travel to Ali’i Kula Lavender and other popular Maui landmarks in the comfort of a Luxury Limo-Van, and the relaxation will last all day. Ka’eleku Caverns – Caverns? On Maui? Yep—on the Road to Hana, this little-known “hidden gem” is sure to be the highlight of any East Maui tour. Formed by a lava flow from Mt. Haleakala, these caverns are actually lava tubes that sprawl beneath the rainforest. From cool tunnels to a lava “cathedral,” you’ll get views of Maui that not many people even know are possible! Our Hana Cave-Quest is the perfect way to visit this incredible Maui attraction. Hookipa Beach Park – This famous windsurfing spot is popular with locals and tourists alike, and offers some incredible coastline views right in Paia—the quirky, surfer town full of fun shops, galleries, and eateries. What’s even better about Hookipa is that it’s frequented by some of Maui’s most relaxed residents—green sea turtles! Get views of massive waves, daring windsurfers, and yes, the famous turtles on your stop at Hookipa after your Hana Picnic tour. Ocean Vodka – Yep, there’s a vodka distillery on Maui, and it makes some of the best spirits in the island from organic sugar cane and desalinated ocean water, hence its name! While you’ll find these awesome round, blue bottles in grocery stores state-wide, having a chance to tour their facilities is a truly one-of-a-kind experience. Right next door to Surfing Goat Dairy, you’ll visit this famous spot on our Haleakala Sun-Trek for an unforgettable culinary adventure! There are plenty of places on Maui that are off the beaten path, and we’d love to show you all these and more! Call us today, and we’ll help you find (or plan) your perfect Luxury Maui Adventure.